This November Westburne celebrated its annual advantage year end event. This event brings together industry professionals for a night of recognition and celebration. This year Westburne hosted its year end event in downtown Toronto at a secret event location, later to be disclosed as Escobar and Barro on King Street West. In order to enter the exclusive event, guests had to provide a password which was given to them a week in advance. The password was “growth,” which communicated the goals and successes of Westburne’s 2018 strategy. Once guests entered the event, they were taking to Escobar, a secret hideout bar in the theme of Pablo Escobars secret hideout in Columbia. Later in the evening, Vice President Dave Syer completed his yearend presentation with the current growth of Westburne, and the 2019 goals and strategies to be achieved. Later on guests were taken downstairs to Barro, a beautiful Mexican themed restaurant, where guests got to share a tasteful dinner in a family style sitting. Overall, the event was a complete success, and we hope to see everyone again for nexts years exclusive year end event. 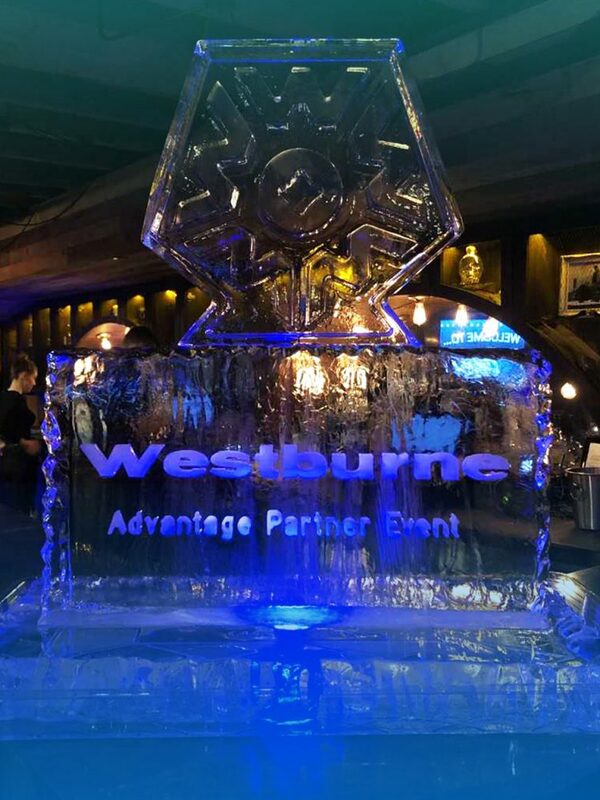 Westburne Advantage year end event 2018, customized ice sculpture.